A great foodie will always have an ardent interest and the willingness to try and feel the uniqueness of the flavors, and appreciate the art of culinary. Many of them try to be as knowledgeable as possible about the foods they eat, sometimes even traveling to an area of food production to see how their food is produced. Some study specific aspects of flavor and eating style or the impact that environment has on flavor, with a focus on trying the best-tasting food possible. Foodies are adventurous in itself and like to take up new challenges while exploring various dishes possible. You may have tried many types of burgers in your life but have you ever eaten burger for free. Yes it is very much possible!! Finishing the Burger Barn Café’s foot long WTF burger and a milkshake in 30 minutes is no easy game! But winning it earns you a place in the Wall of Fame. The 10 inch long burger Stuffed with 6 different patties of chicken, sausage, and salami, and is topped with an egg. Served with a side of fries and an Oreo Milkshake. It is available in the famous Burger Barn Cafe, Koregaon Park, Pune. A great place for foodies who’d like their burgers more than just a snack! 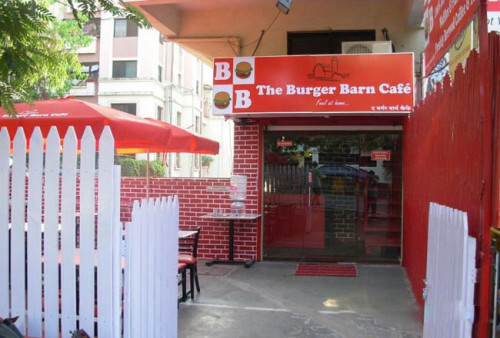 You’ll get variety of lip smacking burgers and other delicious dishes. It has a very warm and happy ambient and good use of Red color throughout the cafe. A surreal verandah with plants and creative wall hangings are definitely the plus points. The place is famous for their awesome burgers, rolls and Shakes, but they also provide really good English breakfast. Has anyone managed to win? 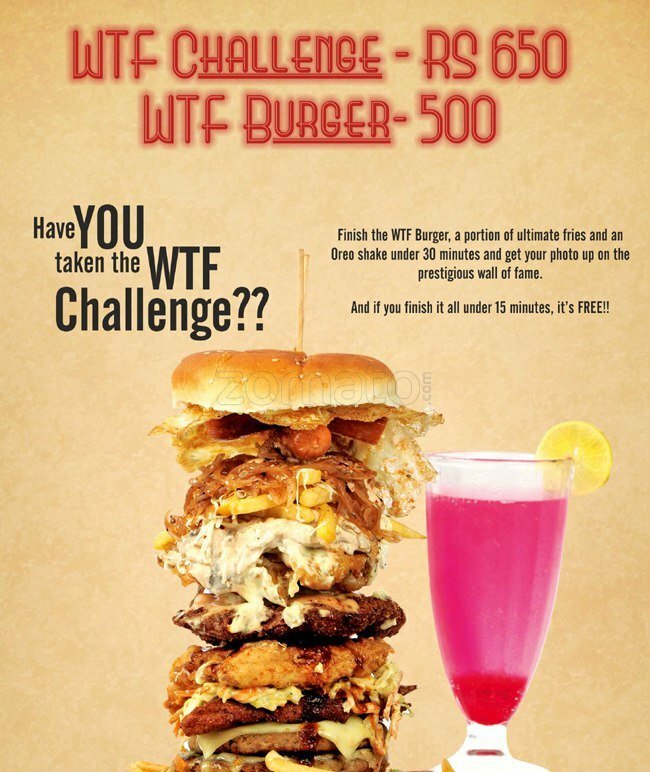 You’ll be surprised to know that someone has indeed completed the challenge with a record time of 9 minutes! This proclaimed burger challenge has had its share of celebrity contenders as well – including Rocky and Mayur of Highway on My Plate fame. I am surely going to take this challenge? Food enthusiasts can surely go and try it out. Don’t think just go out there to take the challenge .